A patio doesn’t always have to reside next to the house. 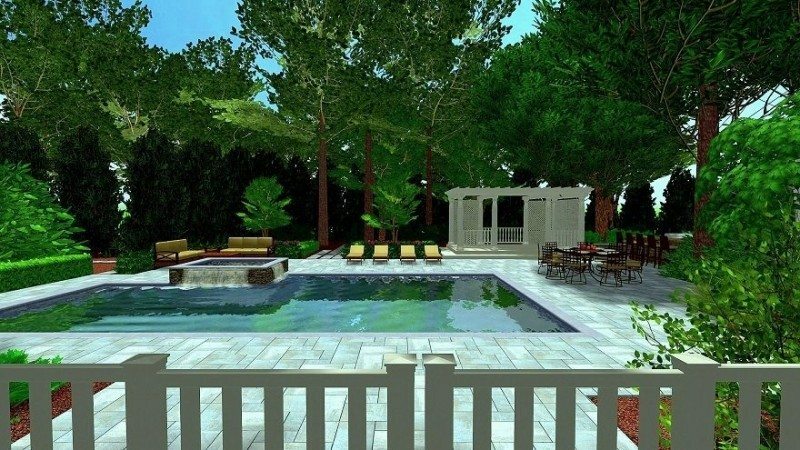 Nestled in a cool, green grove, this one surrounds the pool; includes a lovely dining area and BBQ/Bar, and offers a beautiful view across the water and back toward the home. The perfectly situated shade pergola gains importance from its scale and intricate, airy design. www.greenislanddesign.com — in Wainscott, NY.